An avid chamber musician, he and 4 colleagues recently founded the Ulysses Quartet. 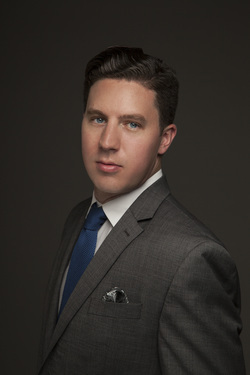 Colin has performed as a soloist with Pittsburgh Symphony Orchestra. In June 2013 he gave a solo recital with pianist Euntaek Kim in Cornish, New Hampshire, for the St. Gaudens Concert Series. He is a winner of the Pittsburgh Concert Society, Symphony North Competition, Tuesday Musical Club and Music For Mount Lebanon Competition. As a freelance musician, Colin is a strong advocate of new music and unconventional collaborations. In 2010, alongside members of the group X Ambassadors, he co-wrote the score and recorded the soundtrack of a new short film by NYU Film School graduate Daniel Pfeffer, titled Let There Be Sol. He has worked and performed with the ensembles Le Train Bleu, A Far Cry Chamber Orchestra, Cantata Profana, and City Music Chamber Orchestra. Recent chamber collaborations include a Rebecca Clarke duet with cellist Diana Ligeti, Penderecki's Clarinet Quartet for Symphony Space's In The Salon Series, and performances with Ani Kavafian at the Essex Winter Series and Geneva Music Festival, New York. Festival highlights include performances at Kneisel Hall Chamber Music Festival, Fontainebleau School of Music and Fine Arts, Encore School for Strings and the Casalmaggiore International Music Festival. From 2011-2014 Colin was a Teaching Fellow for secondary lessons at the Yale School of Music and a Teaching Assistant for a Yale University undergraduate chamber music performance class. From 2013-2014 he was on the faculty of Fairfield School of Music as a violin and viola teacher. Recent travel included a trip to Nosara, Costa Rica for a week of performances, masterclasses, and private instruction in collaboration with the local chapter of the Sistema Nacional De Educaciòn Musical.